The project builds up an integrated approach to address mobility and tourism, testing balanced strategies to face the rising challenges of these two growing sectors and to achieve sustainable development and a better quality of life in Funchal, Limassol, Rethymno, Elba, Las Palmas de Gran Canaria and Valletta. 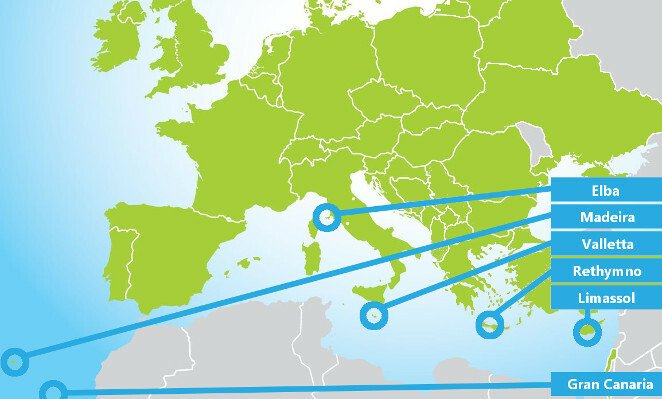 In six European touristic sites DESTINATIONS develops a set of innovative actions in order to implement sustainable mobility measures and actions with the view to offering intelligent sustainable transport solutions for tourists and residents alike through innovation and cooperation with all major stakeholders. These solutions aim to improve urban accessibility, the cost effectiveness and integration of transport services and to reduce emissions and energy consumption. As part of its work under CIVITAS DESTINATIONS, Las Palmas de Gran Canaria has launched "Live", its new public transport cards for tourists visiting the capital of the Spanish island. In 2018, the City of Rethymno (Greece), a CIVITAS DESTINATIONS project city, started implementing actions to reduce congestion caused by freight vehicles and develop a Sustainable Urban Logistics Plan (SULP). Smart transportation in China - what is the current situation? Having a dependable, cost-effective service is key to high-quality public transport. To guarantee and gauge this reliability, comprehensive data collection and service monitoring is necessary. As part its work in the CIVITAS DESTINATIONS project, the Limassol Tourism Company has created the “Limassol Mobility” mobile phone app. The current transport network consists of a number of bus lines connecting towns and villages. Yet there is no coordination of their schedules with ferries coming into the island’s three ports; Portoferraio; Rio Marina; and Cavo. The visit was organised by CIVITAS SATELLITE so that Funchal could share its great success in making public transport through this challenging environment the go-to option for citizens and tourists alike.